It is the mid-1980s and a British colleague introduces a German producer to a band from Dublin, Ireland. The Brit is convinced the German is the right man to produce the band’s next album. However, after a brief meeting with the band, the German comes to a completely different conclusion. “I cannot work with that singer,” he says, turning the job down. “That singer” was Bono Vox, the band U2, the album The Joshua Tree, the British producer Brian Eno and the German producer Conny Plank. This story is typical of Conny Plank. His contemporaries describe him as an extremely amiable producer, yet he could quickly forget all graciousness when it came to issues like work ethic and the ignorance of the media and the music industry. 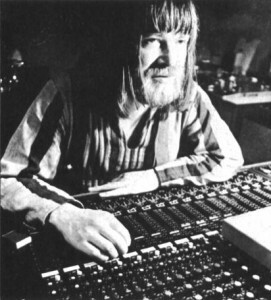 Conny Plank was a name anyone who grew up with cutting-edge music in the 1970s and early 1980s was bound to be familiar with, particularly if he or she read the small print on record covers – a habit not at all uncommon among music enthusiasts. The phrase “Produced by Conny Plank” could be found on dozens of record covers. Many of these albums – from bands like Kraftwerk, Neu!, La Düsseldorf, Kluster, Michael Rother, Ash Ra Tempel, Scorpions, Brian Eno, Can, Ultravox, DAF, Devo, Eurythmics – are now considered classics. Conny Plank was a star producer at a time when such a thing did not actually exist. There is no question music producers heavily influenced artists in the 1950s and 1960s: Phil Spector’s Wall of Sound technique, Sam Phillips’ discovery of Elvis and, in particular, the aforementioned George Martin, who redefined the producer’s role by taking the Beatles’ sound to the cutting edge of popular music. Yet they all operated behind the scenes. Star producers – like Rick Rubin, Steve Albini and Danger Mouse – were a phenomenon born of the 1980s. Since then many different types of producers have emerged. Some feel it is their job to capture the most authentic sound possible at a recording and spend hours recording with the microphones put in exactly the right position; others exert varying degrees of personal influence on the music itself. Conny Plank did a little of both. He was, in-effect, the third member of the band Cluster (Hans-Joachim Roedelius and Dieter Moebius) and an equal partner and creative partner to many others. But one thing he never did was dictate a specific sound to any artist. he insisted in the interview quoted above. He felt his task was to act as a medium between musicians, sound and the audiotape. Michael Rother, who worked with Conny Plank for many years as a solo artist and as member of the bands Kraftwerk, Neu! and Harmonia has his own memories of Conny: “There was no other sound engineer or producer in the music scene besides Conny who would have guided us in our search for a new form of expression and our own musical identity the way he did. Our partnership with Conny was just natural. He had this immense talent to intuitively grasp our intentions and to create fantastic soundscapes, despite the limitations of recording technology at the time.” Plank loved the sound of electronic instruments. “I like synthesizers when they sound like synthesizers and not like instruments. Using a drum machine for electronic music is okay, but not if you try to make it sound like a real drummer,” he once commented. In the summer of 1974 Plank opened his own recording studio 35 kilometres south of Cologne, in Wolperath, 35. It was located on a farm in a former pigsty. In the years that followed it would become a favourite meeting place of musicians. “It was brilliant, and so relaxed. We lived there. It was like our home. It was great, the place had a very creative atmosphere,” recalls Midge Ure. Michael Rother confirms this first-take policy when discussing the recording of the track “Hero” for the Neu! 75 album: “The first take usually has a special magic to it. When Klaus Dinger recorded the vocals for ‘Hero’ I was sitting in the control room with Conny. Klaus was screaming his lungs off with rage and despair. Conny and I looked at each other thinking, ‘This is right on.’ But Klaus said, ‘No, no, we have to record that again.’ The second take was indeed ‘more correct’, in the sense that it wasn’t as powerful and absorbing as the emotion-filled first take, which still fascinates me and many other people today.” Rother gives Plank the greatest compliment a musician can give to a producer. 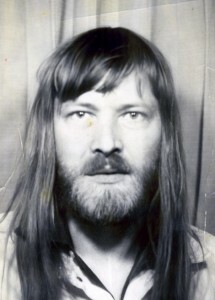 Conny Plank died of cancer on 18 December 1987. He did not live to see the day when music producers would be celebrated as if they were superstars. The “hippie, the big bear who delved into his creative manias with unbelievable energy and passion” (Michael Rother) would be a superstar himself today. One can only assume he would care less and simply hang up a few more gold records – in his loo.